Jumping is an integral part of athletic development and training for all power sports. But we have a little different approach to it than most coaches. 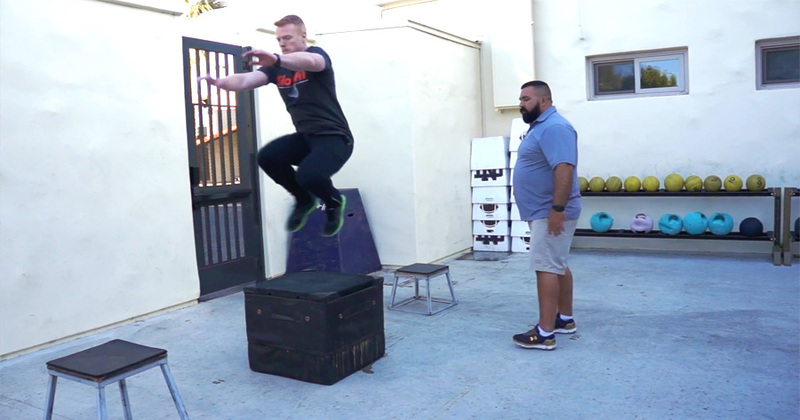 On this episode we discuss using mutli-jumps as a tool for athletic development, including a detailed look at Nick Garcia’s jumping progression, periodization, and more. Especially for younger athletes, why wouldn’t you play basketball as opposed to jump progressions? I know it’s not specific, but the variety of jumps, mixed with cutting and explosive sprints, plus, maybe more importantly, the kids are competing and having fun, not performing yet another drill? It may sound naive, but kids can be over coached and can become complacent, waiting for yet more instructions from an adult. My two cents worth anyway. Thanks for your stuff. I have nothing to do with track and field, but your stuff is thought provoking and translates well into other sports, like golf and baseball. Well I play basketball with my kids once a week. It’s a great tool for the exact reasons you mention. However at a certain level you also want to get an additional stimulus (in basketball you jump a lot, but not all are the highest of intensities), so that is where progressions can help. But as Nick mentioned in the podcast, this is not the only way to jump. And the jumping program needs to be put in place with the whole training in mind. I wouldn’t play basketball because the sprains you get when your foot comes down on the side of someone else’s foot and rolls over are the among the worst you can get. I’ve seen them ruin seasons. Maybe way out of season.